Si-Woo is proclaiming all that Jesus has done for her at Adventist churches across South Korea. And all who hear her story are marveling. Koreans love kimchi, a traditional fermented Korean side dish made of vegetables. From cabbage kimchi and radish kimchi to cucumber kimchi, there are about 250 different types of this delicacy. Instead of air heaters, South Koreans have heated floors. Called “ondol” (warm stone), the heat is passed through pipes under the floor. It’s an ancient technology, but more than 90 percent of Korean houses still use it today. The number “4” is considered very unlucky in Korea. In elevators, the button for the fourth floor is often shown as the letter “F” or is missing altogether. Si-Woo [pronounced: SHE-oo] suffered chronic headaches as a child in Daegu, a large city in South Korea. She completed college, got married, and had a baby daughter. But life was a constant struggle because of the headaches. Doctors didn’t know what to do. She visited Buddhist temples, hoping to become a nun and find relief, but the monks always sent her home. Then Si-Woo visited a shaman, a person believed to communicate with good and evil spirits. The shaman told Si-Woo that a ghost child had entered the room right before her. The shaman said the spirit was Si-Woo’s brother and she was suffering headaches because he had died of a head injury. Si-Woo did have a brother who had died, but she knew little about him because he had died before her birth. Back at home, her mother confirmed that her brother had died of a head injury. Si-Woo returned to the shaman to seek advice about the headaches. The shaman said Si-Woo had to be possessed by a spirit and become a shaman. If she refused, the shaman said, her young daughter would be tormented by the spirit. Si-Woo became a shaman. To be possessed, she was required to recite a 100-day prayer and make a pilgrimage to the mountains where she, her husband, and the shaman were born. She also had to pray three hours every night and two hours early every morning and to take cold-water baths to purify her body. Si-Woo ended up being possessed—not by one spirit but by 20 spirits. She opened a shrine for the 20 spirits and spent the next 20 years offering to tell fortunes, heal diseases, and be possessed by the spirits of the dead. By all appearances, she was good at her job. If someone came with a stomachache, she diagnosed it by also having a stomachache. If someone had heart trouble, she had heart pain. She prescribed amulets, prayer, and exorcism, and the symptoms vanished. Si-Woo made a fortune, but she wasn’t happy. Her headaches were gone, but she suffered continual body pain and growing psychosis, a mental disorder where thoughts are so impaired that a person loses touch with reality. Her husband and her children deserted her. She tried to commit suicide several times. Then someone hit her car from behind in an accident that left her hospitalized for a month. The accident perplexed her. She wondered why she could foretell other people’s futures but not prevent her own misfortune. Si-Woo prayed for her faith to be strengthened, but nothing happened. Frustrated, she set fire to her shrine and announced that she would not serve the gods anymore. The 20 spirits left her. Without the shrine, Si-Woo felt empty and afraid. She wondered whether a more powerful God existed than her former gods. She remembered a Seventh-day Adventist woman who had once told her about Jesus, and she called for help. The Adventist woman introduced Si-Woo to a retired pastor. As they studied the Bible together, Si-Woo learned about the true state of the dead and realized that she had been serving Satan. She was baptized in 2016. Si-Woo is determined that Satan won’t have a foothold on her life ever again. She has taken to heart Luke 11:24, where Jesus said, “When an evil spirit comes out of a man, it goes through arid places seeking rest and does not find it. Then it says, ‘I will return to the house I left’” (NKJV). She prays and reads the Bible every morning. She is experiencing peace and joy for the first time. When Jesus cast demons out of a man in Mark 5, He commanded, “Go home to your friends, and tell them what great things the Lord has done for you, and how He has had compassion on you” (verse 19). Likewise, Si-Woo is proclaiming all that Jesus has done for her at Adventist churches across South Korea. And all who hear her story are marveling. 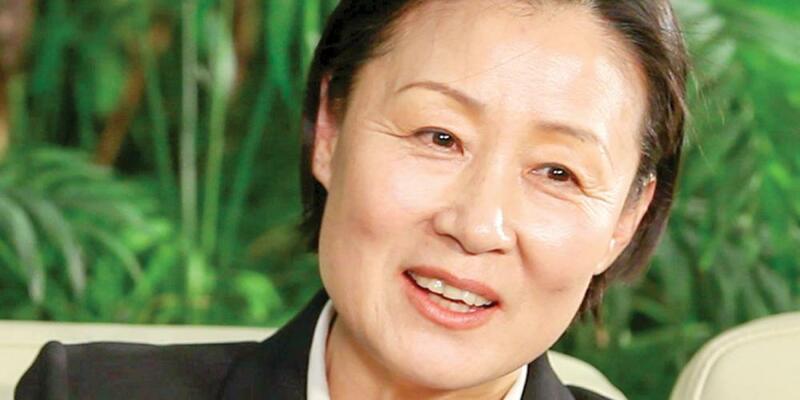 Byung Ju Lee is Sabbath School and Personal Ministries director of the Korean Union Conference.